This is the latest article in my Adventures in Photography series that I write for the Freebird Times. Photography is often most successful with a lot of planning and forethought. 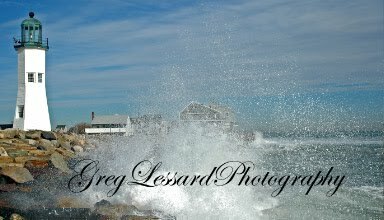 Knowing useful information like when low and high tides will occur, when the sun will rise and set, watching weather reports, and being aware of seasonal events like the spring herring run in Middleboro are all important considerations when planning your next photographic adventure. What do you do when all of your planning and preparation does not pan out? Keep an open mind. Recently, I led some workshops trying to photograph snowy owls. In winter, the owls frequently travel from the arctic to outlying coastal areas like Duxbury Beach and Plum Island to search for food. Teaming up with John Galluzzo of the Massachusetts Audubon Society, we took 25 photographers from the Plymouth Digital Photography Meetup Group on two separate trips to Duxbury Beach in search of the elusive birds. With John’s expert help we searched high and low to no avail. Knowing that the owls might not show up on cue, I encouraged the photographers to look for other photographic opportunities. Many times, Mother Nature will supply you with fantastic subjects if you are willing to take what she offers. As we searched for snowy owls, she gave us glimpses of a harrier prowling for prey, snow buntings and horned larks also visiting for the winter, some beautiful waves and skies and one gregarious harbor seal. “Yeah, but he was too far away for a good shot,” I responded. “Too far? He was only ten feet from the parking lot on the other side of the bridge,” said the helpful stranger. Not wanting to miss a photo opportunity, we thanked the informative gentleman and drove across the very long Powder Point Bridge at an excruciatingly slow 10 miles per hour. 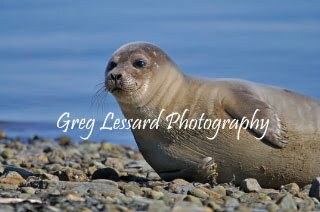 As we arrived in the parking lot, we were pleasantly greeted by a harbor seal seemingly smiling and clapping at our arrival. This seal must have just escaped from the circus. It posed and did tricks while we fired frame after frame. Within a few minutes we were excitedly talking about our good fortune and thankful for the bounty that Mother Nature had provided us. This Month’s Tip: Keep a safe distance from wildlife. Be safe for you and safe for the wildlife. This seal didn’t mind a crowd of people watching it. However, when one spectator got too close, within 20 feet, the seal started to back away. This was a clear sign that the human was encroaching in the seal’s comfort zone. The seal was quite content so long as we stayed at a distance. To help us make great photographs, we used our long telephoto lenses. A 300mm lens is bare minimum for wildlife photography.